There are two artists named Space Time Continuum, 1: Jonah Sharp, a techno producer, and 2: a two-man band featuring only electronic drums and keyboard. 1. Jonah Sharp's music career is marked first and foremost by experimentalism. Being among the first ambient techno producers, he broke onto the scene in 1993 with his Flurescence EP on his own Reflective label. Shortly after, his Spacetime Continuum act was the first United Kingdom project to be signed to the Astralwerks label. 1. Jonah Sharp's music career is marked first and foremost by experimentalism. Being among the first ambient techno producers, he broke onto the scene in 1993 with his Flurescence EP on his own Reflective label. Shortly after, his Spacetime Continuum act was the first United Kingdom project to be signed to the Astralwerks label. After starting his musical career in London as a jazz drummer, he left the scene - and the country - to move to San Francisco. 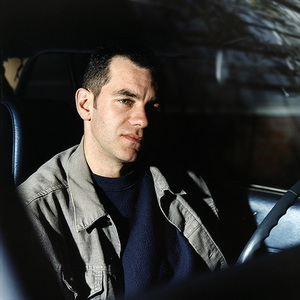 Having made his mark in the ambient scene between the years of 1993 and 1995, his experimentalism led him to create Emit Ecaps, a dancefloor-oriented groove. Having made his statement about his creative prowess, and before getting comfortable in what could have been a formula for success for any other artist, he put his drum machines to rest and reached for a Fender Rhodes. Effectively tossing the dance floor and the jazz club in a blender, the resulting work Double Fine Zone emerges, defining yet another musical direction for Spacetime Continuum. Utilizing analog synthesizers, percussion samples from a live drum kit, and smooth saxophone and harmonica parts laid down by jazz buddies Brian Iddenden and Damien Masterson, Jonah Sharp has fused old school techno with jazz. Three parts paying homage to his roots, two parts experimentalism, one part Jonah's west-coast sound, and two parts groovy electronic music.